Growing up in Buenos Aires, Argentina, Saskia Sassen would sneak out of the house, hop on a cross-town bus, and deliver bags full of food and clothing to victims of seasonal floods. Today, as a noted scholar of the effects of globalization, she is no longer clandestine about her efforts to help others. But she is still motivated by strong convictions. 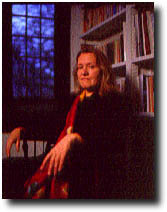 Sassen, born in the Netherlands, ultimately chose academia as the means to promote such an understanding, earning a joint Ph.D. in sociology and economics from Notre Dame. In October, she joined the Chicago faculty as a professor of sociology following 13 years at Columbia University. Next year she will be a visiting scholar at the American Bar Foundation and deliver the distinguished Simmel lectures at Berlin’s Humboldt University. Her most recent book, Globalization and Its Discontents: Essays on the New Mobility of People and Money (New Press), came out this fall. It stems from two earlier works—The Global City and The Mobility of Labor and Capital—in which she laid out a novel understanding of the emerging global economic matrix. She is now expanding her theories in the January 1999 issue of Foreign Affairs and in a forthcoming book on what regulatory mechanisms are needed, nationally and internationally, to govern the global economy most effectively—and most democratically. Sassen conceptualizes the global economy as a network of some 40 “global cities,” characterized by world-market orientations and significant concentrations of company headquarters, specialized corporate services, and asset-management institutions. They typically have central “glamour zones,” she says, where everything is happening: “fancy offices and hyper-urban professionals living nearby.” For example, notes Sassen, New York’s “sanitized” and “beautified” Times Square now serves as a hub for the global media industry with the presence of companies like Reuters, Disney, Bertelsmann, and Sony. Together, the global cities provide the management, coordination, and servicing needed to move capital and goods around the world, Sassen explains. While their interdependence distinguishes them from the spoke-of-the-wheel capitals of old-style empires, she points out that the cities are not all equal players. The network has a distinct hierarchy, which she plans to detail in her Foreign Affairs piece. London, New York, and Frankfurt represent the top tier because of their assemblage of leading experts and their information infrastructure. Their sophistication goes unmatched in most of the other global cities—including Seoul, South Korea; Bangkok, Thailand; Santiago, Chile; and Bombay, India. But the network needs these other cities, she explains, to manage foreign capital in their national systems and to pump their own capital into the world economy. As a result, she says, the network of global cities cuts across the traditional north-south divide, making it no longer of use to consider northern countries as the world’s richest and southern countries as its poorest. The professional and corporate elite in New York may now, she maintains, have more in common with, say, their counterparts in Sao Paulo than with the poor and middle class in Brooklyn. She fears that the elite—typically 20 percent of a global city’s population—will continue to benefit from globalization while the middle class gets increasingly squeezed and economic inequalities accelerate. In her next book, to be published in 2000 and titled Governance and Accountability in the Global Economy, Sassen will wrestle with how decisionmakers in the financial and immigration arenas can respond to the potential pitfalls of globalization, hoping her work will lead to at least an understanding of “how we govern the global economy and introduce some accountability to the system.”—C.S.